Strona główna > Fototapety>Tematy>Kosmos>Hand drawn cartoon astronaut in space suit. One died. Line art cosmic vector illustration cosmonaut who stand alone. Concept hello world. 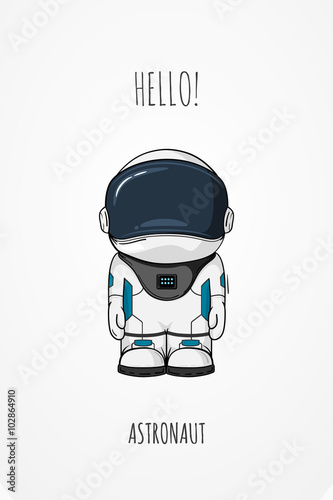 Fototapeta Hand drawn cartoon astronaut in space suit. One died. Line art cosmic vector illustration cosmonaut who stand alone. Concept hello world. Hand drawn cartoon astronaut in space suit. One died. Line art cosmic vector illustration cosmonaut who stand alone. Concept hello world.